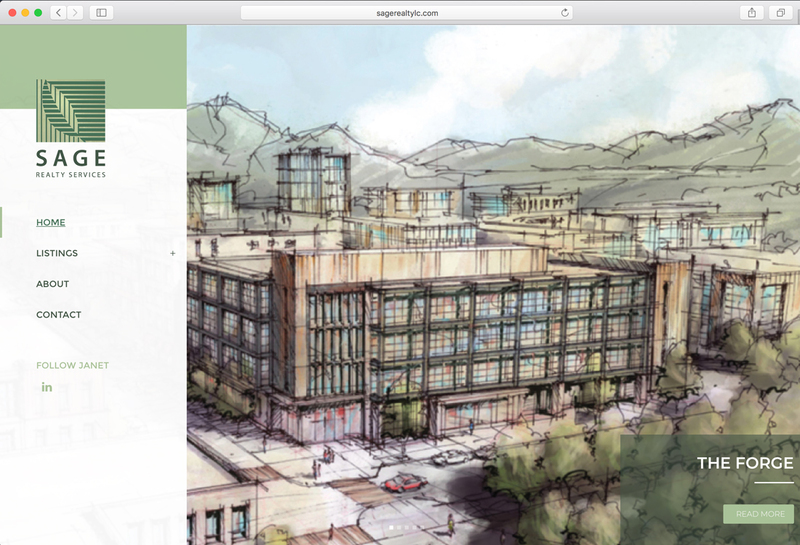 Stippich Design has had the honor to work directly with Janet West, the owner, manager, and principal broker of Sage Realty Services on several commercial building collaborations. Janet wanted to redesign the Sage Realty Services website so that it reflected the elegance and sophistication integral in the Sage Realty Services printed collateral materials and engaged our services to collaborate on how best to aesthetically achieve this as well as updating the messaging on the site. Through a series of collaborative working discussion sessions we engaged with Janet to craft and refine messaging around Sage Realty Services’ unique position in the marketplace. 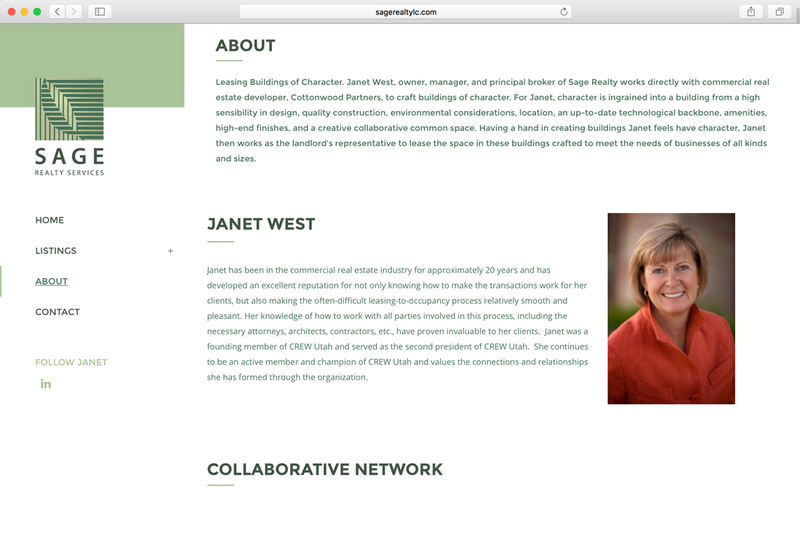 Sage Realty Services has an extremely close and trusted relationship with Cottonwood Partners which relies on Janet as a consultant to help craft the aesthetics, features and function of the projects they develop. The final messaging solution was to create a tagline “Leasing Buildings of Character” that focused attention on this position in the marketplace. How do we ensure we lease buildings of character? 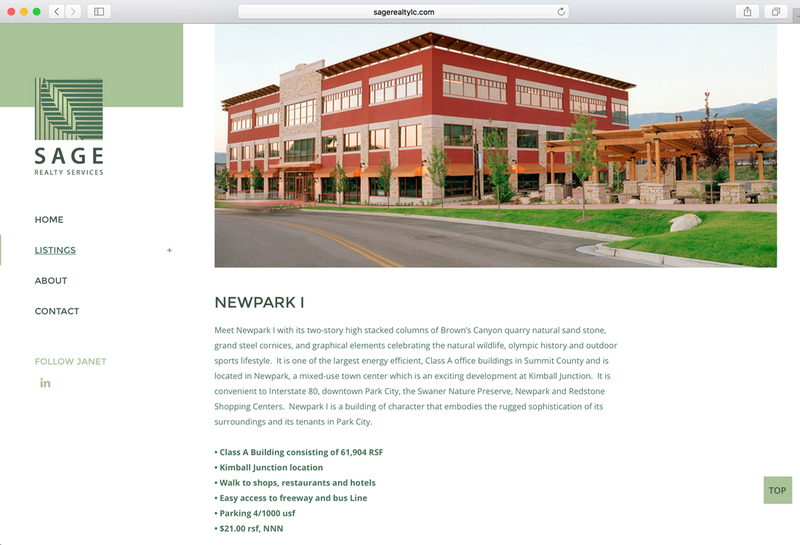 Janet West, owner, manager, and principal broker of Sage Realty works directly with commercial real estate developer, Cottonwood Partners, to craft buildings of character. For Janet, character is ingrained into a building from a high sensibility in design, quality construction, environmental considerations, location, an up-to-date technological backbone, amenities, high-end finishes, and a creative collaborative common space. Having a hand in creating buildings Janet feels have character, Janet then works as the landlord’s representative to lease the space in these buildings crafted to meet the needs of businesses of all kinds and sizes. 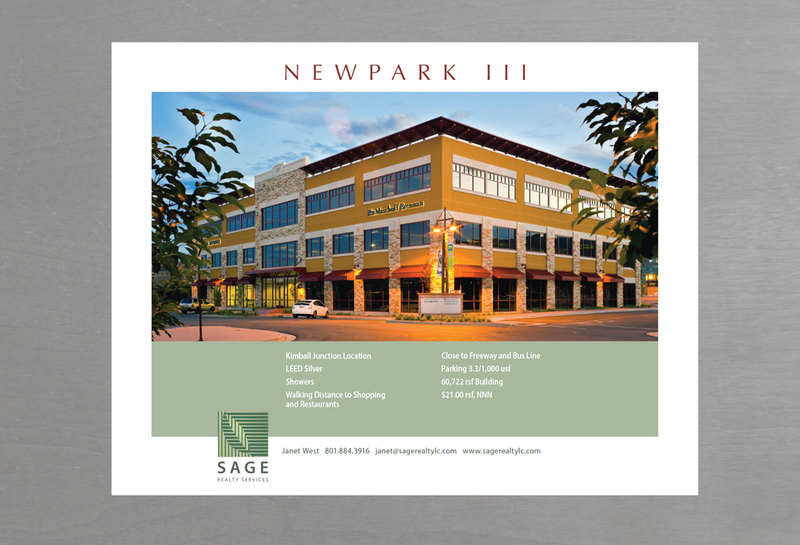 After crafting the messaging for the home page, we worked with Janet to develop flyers to be uploaded to the website in order for visitors to download them that reflect the high quality, elegance and sophistication that is present in the buildings Sage Realty Services represent. We then coordinated with Janet on formatting them so that they could be updated by the staff of Sage Realty Services internally.